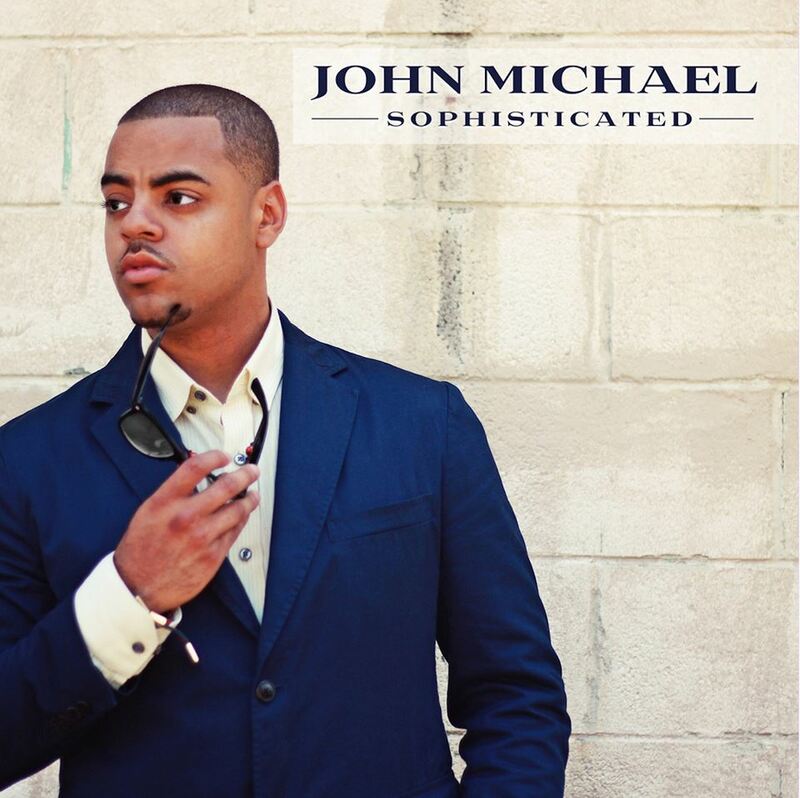 Singer-songwriter John Michael is on the cusp of being the next breakout star in the world of R&B. 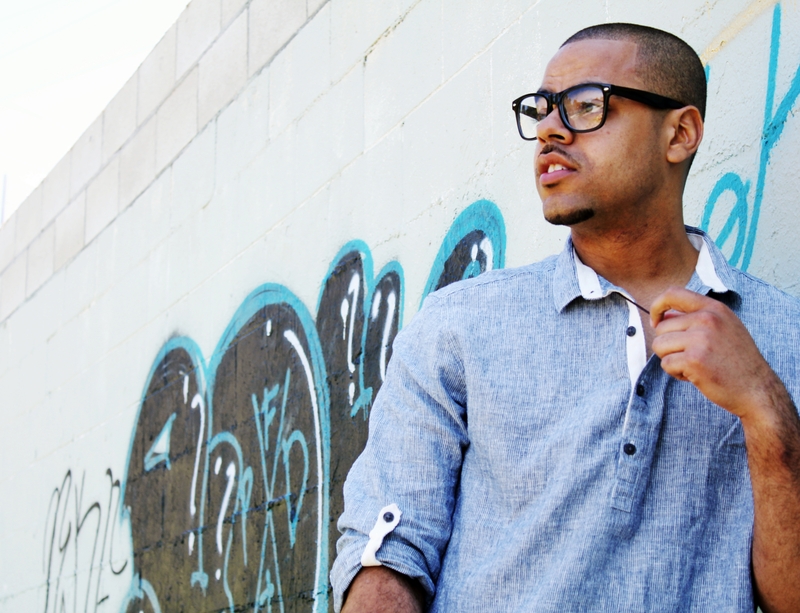 Starting at the age of 16, Michael beginning penning tunes and eventually worked with the producers of star performers like Rick Ross, Wale, and Lloyd. 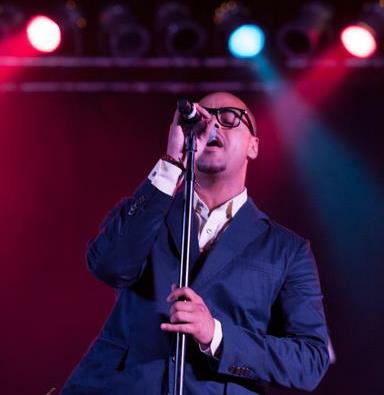 The DC-born, VA-raised single father’s own music grabbed the attention of Soul fans when his 2012 single “Sophisticated Lady” broke into the Top 20 on the Urban Adult Contemporary Radio Charts. After dropping an EP and a mixtape, Michael released his debut studio album Sophisticated on September 24th. 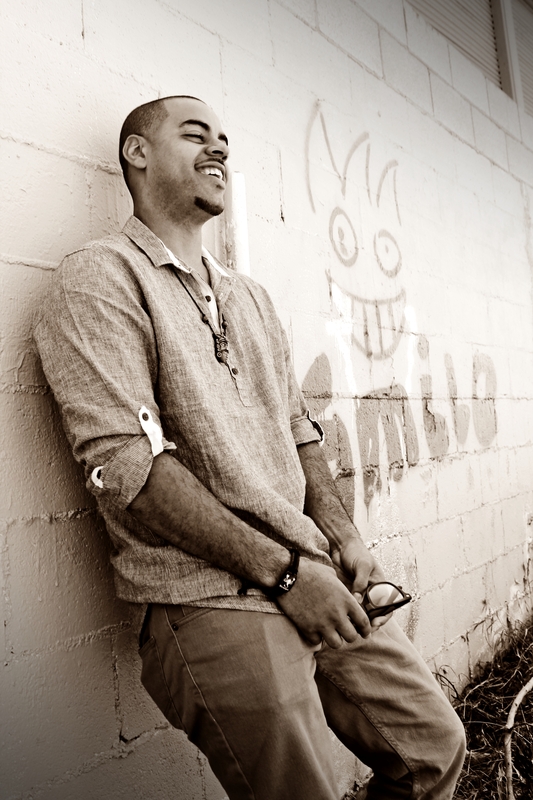 DZI: The Voice got the opportunity to interview John Michael about the project, connecting with rap legend Talib Kweli for the “Sophisticated Lady (Remix)”, and a lot more. John Michael: I think I discovered it through my songwriting ventures that I would do in hopes of being discovered some years ago. I would write and record as much as 6 or 7 days a week. So I was constantly making something new and that led me to start developing my own style and things I like to do musically. YK: What led you to transfer music from being a hobby to a profession? JM: I’ve always kind of felt that music was my true passion, but it wasn’t until about a couple of years ago that I went from being a person who works a job and does music on the side to full-fledged artist. It was out of necessity really. To me there is no greater reason to do anything than to do it out of necessity. I have a son to raise, and if I am going to love music the way I do, then I have no choice but to give this my all for him. YK: There are a several notable contemporary performers from Virginia like Chris Brown, Trey Songz, and Pharrell Williams. How does the music scene in Virginia foster entertainers to excel? JM: Virginia is an interesting state. You have the northern area that is more like the DC indie Soul crowd, Richmond area that is also indie, and the Norfolk area that is packed with urban up-and-comers. I think that there is a high bar set here. Especially because, for the most part, we don’t have easy access to industry people that can connect the dots. We have to do things virally, travel, and make a name for ourselves. People in Virginia are hungry. It’s not like New York or L.A. where you can literally be around industry people every single day. Most people don’t ever really make it, so for someone to get close or get there the way Trey, Chris, and Pharrell did, it pushes you to do it too. I’m proud of them and all the other artists from VA.
YK: What was the inspiration for your Round Two: The Mixtape? JM: Round Two was an opportunity for me to have a little fun. After I finished my album I felt like it was time for another mixtape to keep the listeners happy. I love using other artist’s beats and re-imagining them. It also gave me an opportunity to talk about some issues that are on my mind politically and socially. Tracks like “1 outta Tre” where I sang and rapped over Kendrick Lamar’s “Sherane” song. On that song I touched on the issue in our community where young women are being raped at an alarming rate. One out of three women have possibly been sexually abused… hence the title “1 outta Tre.” On “Tom Ford Freestyle”, I’m touching on the fact that people in the lower class don’t have time or money for Tom Ford and that chasing these things is what clouds our community. There are a few other tracks where I am just talking about things. “Swank” is another one. YK: What can fans expect from your new album Sophisticated? JM: Over the past year that my music has been out to the masses, I have gotten a lot of feedback. The most common thing people tell me is that they love the fact that I’m a young guy making R&B music. They love that I keep my lyrics classy, and they dig my smooth groove and approach to songs. On my album Sophisticated they won’t be disappointed. All of these qualities are put into the 15 songs on this album. This is me. This is my contribution to music right now, and my contribution to the listener’s ears. All I can be is me and for the people who like how I roll then this is it. This is what you have been waiting for. YK: How did the “Sophisicated Lady (Remix)” with Talib Kweli come together? JM: That was something I always wanted to happen. I’ve been a huge fan of Talib Kweli since I was like 16. I’m kind of a Hip Hop head. I love lyrical rap. I swear every day I am on allhiphop.com or hiphopgame.com. So when it came time to do a remix there was no other choice really. I’m just happy and blessed that Talib actually liked the song. My manager is cool with him, so he had him check it out. He wouldn’t have even done a verse unless he was feeling it, so I was real happy about that. That was a dream come true. YK: Your latest single “Arrive” has a very classic R&B sound. What attracted you to go back to the music that was more prominent in past decades? JM: Yeah it does. That’s why I love it so much. If I had it my way, R&B would go right back to that. I don’t care what anyone else thinks. I’m tired of everything being so streamlined. I mean I know that the music industry right now is so streamlined, so in turn the music that is promoted is too, but there should be a lane for everyone. Sorry for that little tangent. But as for the inspiration for “Arrive”, I was in the middle of writing some songs for Aaron Hall; one of the legendary singers of R&B I feel. So during the course of that, “Arrive” happened. My friend J-Rum, who produced it, sent it to me. I remember sending it back on email with just the hook. This is before I wrote the verses. But like 5 minutes later, J-Rum’s manager, Dale Reed, called me, R.I.P. to Dale by the way, but Dale called me and kept saying, John Michael… I was like what Dale, lol.. John Michael he kept saying… I was like what? ?… He was like man you killed this track. That’s when I knew it was a dope record. YK: What’s your take on New Wave R&B of artists like Frank Ocean and The Weeknd? JM: I love it. Frank Ocean is dope. I admire his story and also his writing style. He is quirky without actually coming off as overly abstract. People don’t often get enough credit for being able to take something slightly off and transform it into a way that is pleasing to the ears still. Same goes for The Weeknd. I love his production and his unique style of singing. He says something that makes me go, “wait… how did he just sing about that?”, lol. But it sounds good. YK: You seem to tour non-stop. How do you manage such a busy performance schedule with recording new music and raising a child? NM: Out of necessity. I pray a lot. But I always think back to a few years ago when I was on my way home from work at a stop light, listening to some songs I recorded, and thinking to myself, “what the hell am I still doing this for?” And now I know, and it’s finally starting to take off. YK: What has been you’re most favorite track that you’ve worked on for other artists? JM: I have a lot of favorites. I did this one hook for Chris Brown that I was really proud of myself for. It didn’t end up becoming anything, but I used to just listen to the hook over and over again, just proud of the work I did on it. I think it was called “Playing With Fire” which was through Elite Producers. YK: If you could collaborate with any three artists out now who you picked? JM: Wale, Kanye West, and Jay Electronica. Wale because he is from DC, and I admire his journey to the top. I feel very similar to him in his pursuit of musical success. Kanye West because he is a forward thinker. I am too. I am always looking for that next evolution point. And Jay Electronica cause not only is he possibly the best lyricist in the game, but he randomly followed me on Twitter last year. I have this feeling he heard my music and liked it. At least that’s what I tell myself. But I think we could make a dope track. I collab very well with lyricists generally. So Jay… if you are reading this at any point… holla at your boy in the DM box, lol! YK: If you weren’t making music what do you think your career would be? JM: Tough notion. I feel like this is me, and I couldn’t be anything else. I’ve been making music since I was 16 with a singular dream that has haunted me into this reality I enjoy now. YK: What’s next for John Michael? JM: Keep touring. Keep people listening to my album Sophisticated for sure. I’m constantly trying to improve everything I do every day.